Is Panthers’ D-Line To Blame For Shoddy Run Defense? Home / Cleat Geeks / The Roar: Lions Shock Patriots in Primetime, 26-10. The Roar: Lions Shock Patriots in Primetime, 26-10. After a not so good first two weeks, the Lions were staring Tom Brady and the Patriots in the face, not supposed to win. They wrote their own script and won. Detroit put a three-spot on the board in their opening drive, proceeded to put on 10 points in the second quarter while holding New England to a field goal in the first half. Both teams split the third quarter with a touchdown apiece, but that was all the Patriots would get. Matt Prater added a pair of field goals in the fourth to seal the deal. Detroit’s defense set the tone early as they forced Tom Brady and Co. to go three-and-out. Brady went 14-for-26 for 133 yards, a touchdown and an interception. Rob Gronkowski was New England’s leading receiver as he grabbed four of Brady’s passes for 51 yards. Sony Michel carried the ball 14 times for 50 yards. Matthew Stafford and his offense were much more productive. Stafford completed 27-of-36 passes for 262 yards, two touchdowns and an interception. 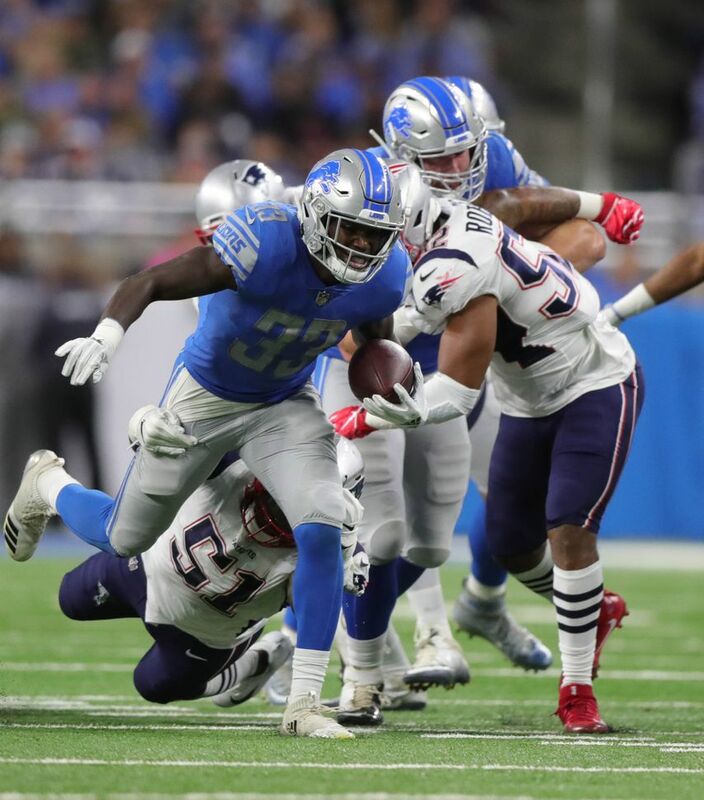 Kerryon Johnson had 16 carries for 101 yards, becoming Detroit’s first running back to reach 100-yards on the ground in a game since Reggie Bush did so on Thanksgiving Day in 2013. LeGarrette Blount also had 16 attempts and gained 48 yards with his efforts. Both Marvin Jones and Golden Tate picked up 69 yards. Tate caught six passes and Jones caught four, one being a touchdown. Kenny Golladay also grabbed six from Stafford for 53 yards and a score. Prater drilled all four of his attempted field goals with a long of 38 yards. Sam Martin punted away just twice. Defensively, the Lions had things locked down in their den. Detroit held New England to just 12 first downs, seven of which were done on the ground with four through the air and one that came on a flag. New England’s third down efficiency finished at 22% (2-for-9). Eli Harold led the Lions with three tackles and two sacks. Darius Slay came away with an interception in the fourth quarter. 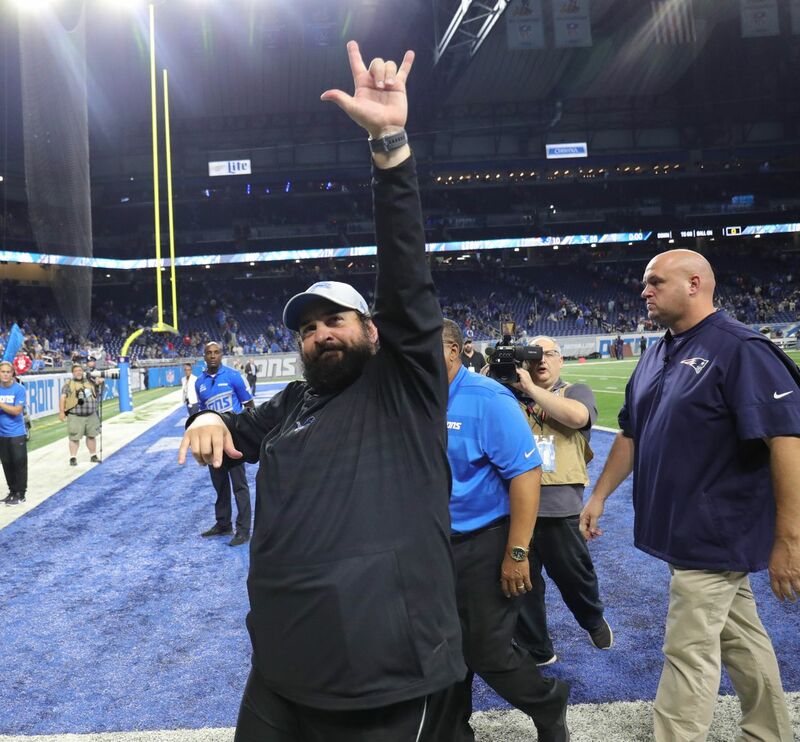 In the end, the Patriots collected a total of 209 yards of offense, compared to the 414 yards that the Lions put together. For four quarters of play, the Lions got after it and left nothing in the tank, just like Detroit as a whole. Do YOU have what it takes to be one of our “Geeks”? If you like this site or just simply want to school your friends because you got the information first. Join us on the field! Click on any of the links below.